It's pretty evident that the cast of "Harry Potter" has grown up to just be beautiful specimens. From the incredible transformation of Matthew Lewis' Neville Longbottom, to see Emma Watson's Hermione Granger grow up to be an absolutely stunning human, we're still convinced there is some sort of Polyjuice potion involved. Because the cast was so big, we often times forget about other supporting characters like Padma Patil. 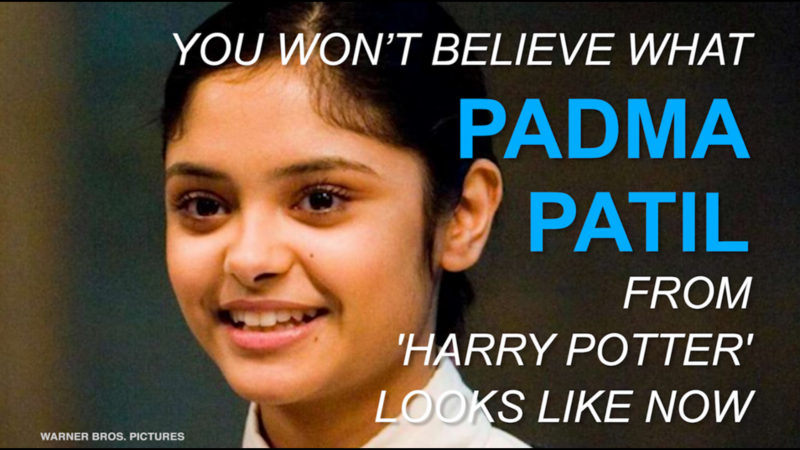 You might remember Padma (Afshan Azad) as the Ravenclaw twin to sister Pavariti and 5th year prefect. You also most defintiely remember as a member of Dumbledore's Army. This is what she looked like back in the "Harry Potter" films. Naturally, we were super curious as to what Padma looked like today, and you will be SO happy we did. Just relish in the absolute beauty that is 2016 Afshan Azad. Azad continues to act, but to us, she'll always be Padma! See more from "Harry Potter" in the gallery below! Dudley Dursley from 'Harry Potter' is all grown-up and has changed quite a bit!